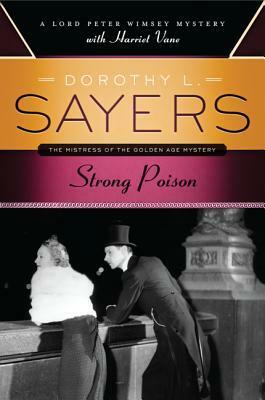 The classic mystery that first featured Harriet Vane, companion sleuth to the dashing, perennially popular private investigator Lord Peter Wimsey, from the writer widely considered the greatest mystery novelist of the Golden Age—Dorothy L. Sayers. Mystery novelist Harriet Vane knew all about poisons, and when her fiancé died in the manner prescribed in one of her books, a jury of her peers had a hangman’s noose in mind. But Lord Peter Wimsey was determined to prove her innocent—as determined as he was to make her his wife. What do you do when you discover that you have forgotten to transcribe the review of The Nine taylors by Dorothy Sayers that you wrote last week? You read another Dorothy Sayers novel. Even if both of them is written by Dorothy Sayers, they are very different. This one, is lighter and there are no corpses in it. Maybe that’s why it is one of my favorite Lord Peter Wimsey novels. This is the first book about Lord Peter and Harriet Vane. The mystery plot was well crafted, and with some unexpected twists. I really liked reading about how Lord Peter fought against the clock to free Harriet Vane from the suspicion that she killed her lover, Philip Boyle. But even if Lord Peter is a witty and sophisticated amateur detective, he couldn’t have solved the mystery alonr. I really liked he recruited Bunter, Ms Murchinson and Ms Climpson to figure the motive, and who the real killer was. I also appreciated that he acknowledged their help. Another thing that I enjoyed was the start of the romance between Lord Peter and Harriet. Even if it is clear that it moves slow. The Biggest problem I had with this book was that it was a bit dated. As a result, I found myself skimming parts of it ( For example: The first 10 pages are basically an recount of what had happened).